The groom’s grandfather passed away the night before, and Dale, the Groom was very close to him, so the bride-to-be Shivani, made the decision to postpone wedding. Now this was very difficult decision, people were already there from all over the world; in the Hindu tradition, the senior person (called the pundit) from the temple has to be the person that decides on the next date for the wedding (preferably in 6 months). The jewelry and the wardrobe would all come home unworn!! Jenny and I just continued our trip, and next day set out in the Land Cruiser for shopping, parked the car, no problem, but when we came back to car side back window had been shattered and apparently, which we didn’t know that a computer was on floor in back with sizable amount of US cash inside, to be used for wedding (not anymore more). We called the police and started the long wait, a car drove up and BK sister Uma arrived with believe or not hot picnic lunch with the entire trimmings (unbelievable, but lovely). 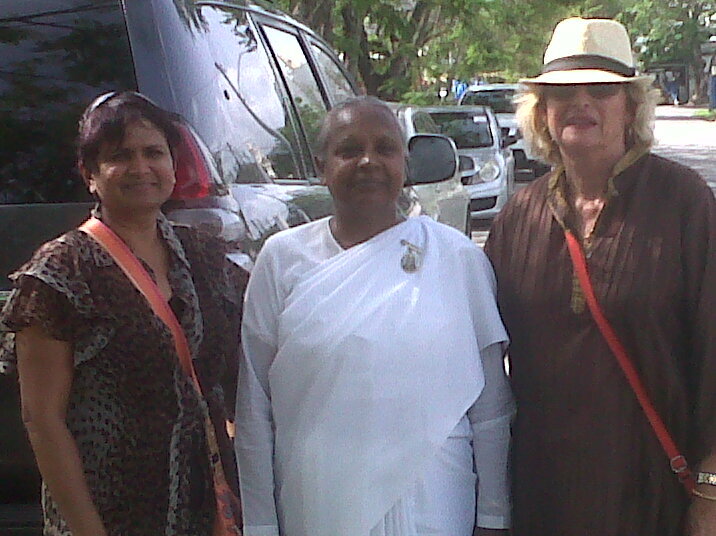 Friend Jenny, Sister Uma and yours truly, waiting for Police to show up after car break-in. 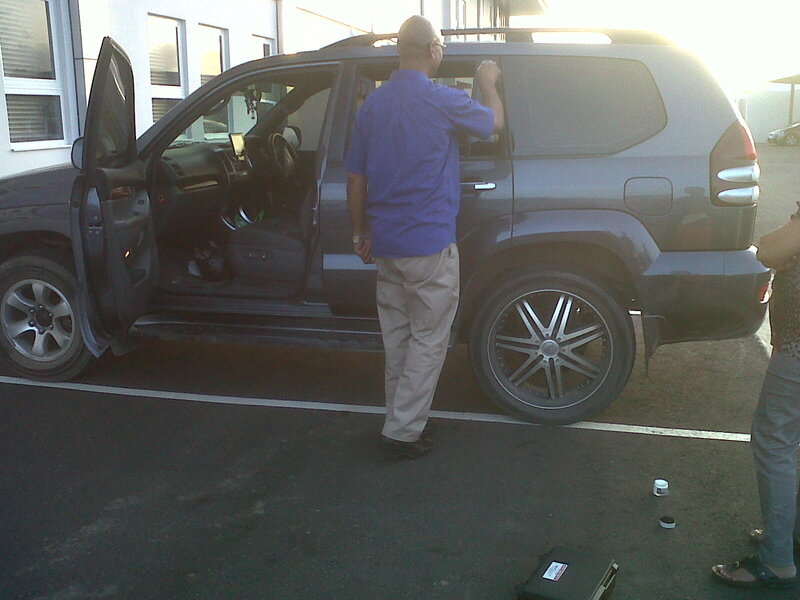 Policeman dusting car for fingerprints!! pictures, etc., and I think we got home by about 10pm, it was long rough day for Jenny. We decided to go to Tobago early and Jenny’s Brother had very kindly given us apartment, and when we arrived I discovered very fancy bathroom, but no hot water, I grew to tolerate that because we were in the Tropics, so lukewarm water was okay, but for me to discover the next morning that there no water at all, was major problem, the caretaker for the house hadn’t told us we were operating with last tank of water and the town had turned off water for repair, we had to find the guesthouse and move, which was a real pain. Oh! I forgot to say plane to Tobago (20 minute ride), got us there and couldn’t land, so we went back to Trinidad, only to try again few minutes later, and we finally arrived in Tobago. Back to the guesthouse story, at this point I decided this whole trip was jinxed, and wondered what would happen next. We found a pretty guesthouse, when I travel I always I flush toilet, turn on shower and check for hot water in any new room. So when I flushed toilet, it wouldn’t work, and made a very loud noise, so we were waiting for an hour while they made up another room. 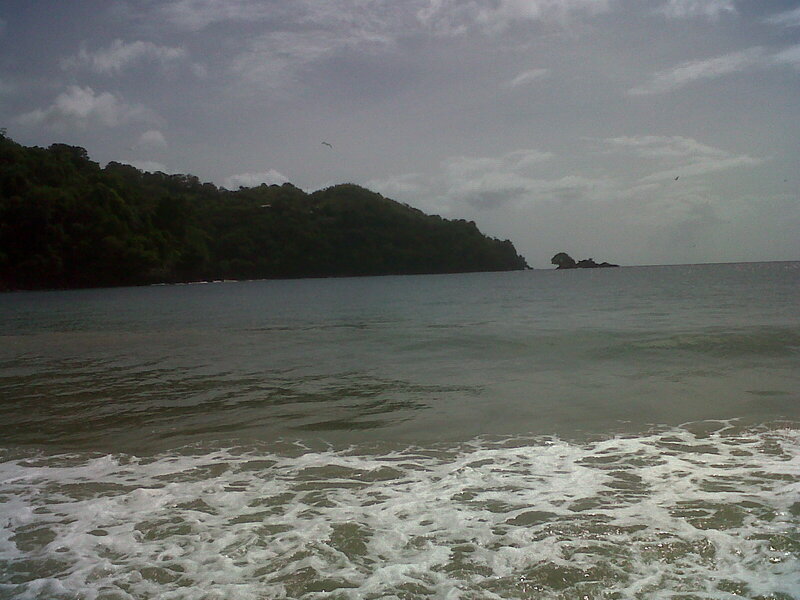 Tobago is beautiful island, with deserted beaches, and we drove the whole Island in 2 days. 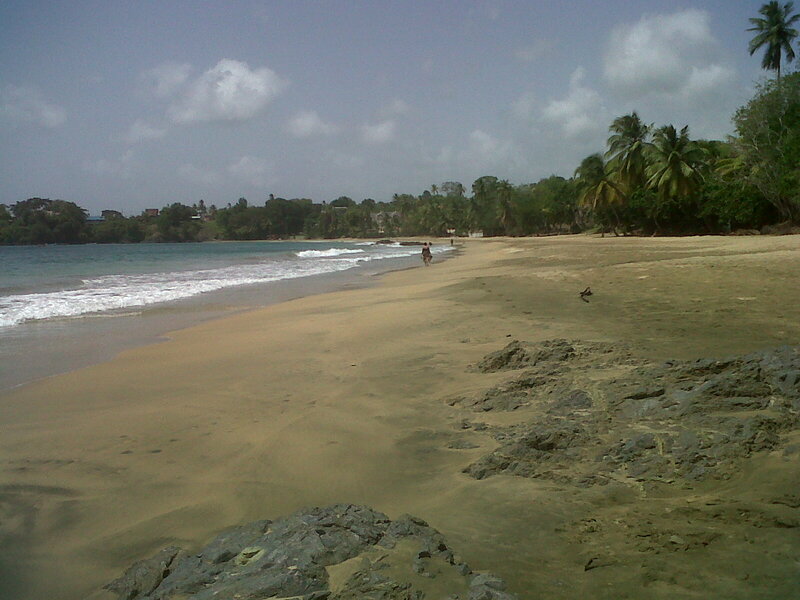 Lovely, empty beaches in Tobago! We went back to Jenny’s sister’s house, in Trinidad, for last night and I had to get up at 1am for airport. A cousin’s birthday party was planned for that evening, but I went to bed, which was silly because the music started at 7pm and was still going when I left house at 2am for airport. Wow what a trip! It was very stressful week for all!! I came home with allergy to something, and went to walk in clinic, but am fine, also Dale the groom was in car accident, while we were in Tobago, but he is okay. I wish only the very best for Dale and Shivani. This entry was posted in Betty Steinhauer and tagged Betty Steinhauer, Nomadic Intern, Travel, Trinidad and Tobago. Bookmark the permalink.